Unlike so may of the other brands Plymouth started out as a division of the Chrysler Corporation. In an effort to diversify Plymouth was born and actually became quite successful. Born in 1928 Plymouth made its debut with the Plymouth Model 4 in 1929. The car was based on the Chrysler 4, but made with more affordable which and strategic changes that made the Plymouth a great a value that competed with the Ford and Chevrolet. We don’t have the early Plymouth brochures, but we do have some that go back away. 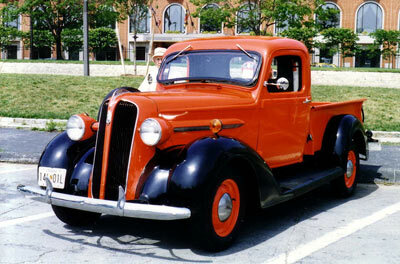 In the 1930’s Plymouth took its place as a top seller when it came in third for national sales that passed up Buick and rivaled Chevy and Ford. The Plymouth PA was a big hit with their innovative rubber motor mounts that provided a smoother and quieter driving experience. Into to late 1940’s and 1950’s Plymouth continued to make strides with models like the Suburban and Cambridge that were different looking than the competition. Plymouth started offering automatic transmissions, which set them apart, and the end of the 1950’s had built over 12,000,000 Plymouths’. We have several of these Plymouth brochures and sales pamphlets in PDF format for your personal use. Barracuda, Valiant, GTX, Fury and the Belvedere. Then in the late 1960’s Plymouth hit the street with the legendary Road Runner powered by a 426 Hemi V-8 engine and thus the Muscle Car was born. 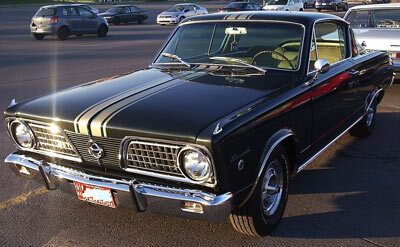 See the Plymouth brochures and sales literature featuring these powerful rides below. The 1970’s changed the landscape for most automakers with the fuel crisis and oil prices that went through the roof and Plymouth offered some smaller more fuel-efficient vehicles. In the 1980’s Plymouth was having a little trouble staying on the top and offered models like the Voyager Minivan, which was successful, but the other models like the Sundance and Caravelle were not so popular. By the 1990’s Plymouth was having a tough time and despite the effort of Plymouth the line was downsized when the company merged with Daimler in 1999. We have several of these Plymouth brochures and sales booklets below. 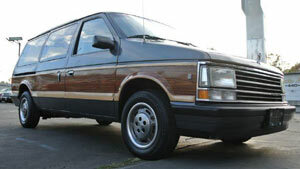 The Plymouth line was down to five vehicles and that included the Voyager minivans, Breeze, Neon and Prowler. However the decision was made to call it quits for Plymouth and the line was retired in 2001.